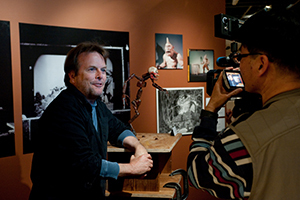 Although Ray left some financial support in his will to help preserve his legacy for the future, the Foundation is still in desperate need of additional funds and sponsorship to assist with the continuing work on the collection, as well as achieving Ray’s wish to exhibit the collection hopefully in a permanent gallery, and encourage young people to enter the animation profession. To ensure that the Foundation (a charitable trust) is able to continue the work that Ray began and for the collection to be available to students and the public, it is vital that funding is found. 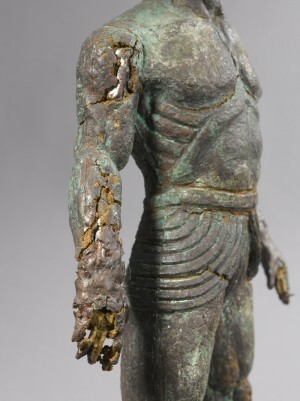 The Foundation is also looking at quality merchandising, publishing and media production; we have recently overseen the creation of a set of bronze figurines of creatures from ‘Jason and the Argonauts’, which can be purchased from www.raven-armoury.co.uk. However, we require a more substancial amount of finance to help with these and other projects, and to enable us to employ staff required to administrate and run them. The collection comprises in excess of 50,000 items, ranging from sketches, finished artwork, armatures, tests, stills, negatives, books, bronze moulds and models, from his earliest experiments as a teenager in the 1930s with string marionettes and stop-motion to the extraordinary creatures he designed for his spectacular films. Ray’s great wish was that collection should kept together and be accessible where possible, and it was for this reason that he set up the Ray & Diana Harryhausen Foundation in 1986. The primary aim of the Foundation is to protect his name and body of work, as well as archiving, preserving and restoring Ray’s extensive collection. Regrettably however some of Ray’s original models are now simply too fragile to travel in their current state and therefore cannot be used for exhibition purposes even within the United Kingdom. But with your help they can be preserved and enjoyed by future generations. A programme of preservation has already begun, but all the perishable elements of the collection require constant monitoring and conserving. 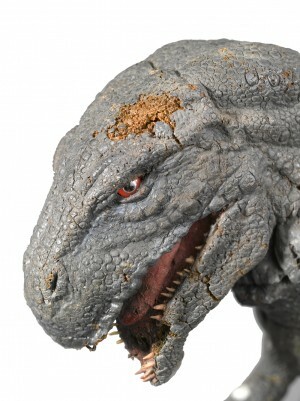 The latex covering on several original models is already in rapid deterioration, for example Talos from Jason and the Argonauts (1963), Kali from The Golden Voyage of Sinbad (1973), and the allosaurus from The Valley of Gwangi (1969), all of which are in desperate need of restoration before it is too late to save them. The collection of not only Ray’s own legacy but that of other influences such as Willis O’Brien. 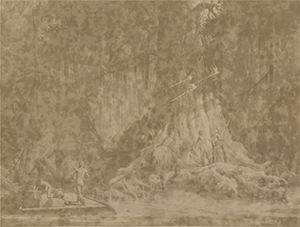 We have a full set of photographs of drawings made for King Kong’s unmade predecessor Creation (c.1932). Many of these photographs are deteriorating and are becoming severely mottled, we are currently in the process of creating digital high quality copies so that these unique and unseen images can be preserved for the future. The process of this on-going conservation is of course both time-consuming and costly. Randy Cook (our friend in LA) being interviewed about his favourite Ray creation, the Cyclops. The main reason for preserving Ray’s collection is to enable items to be used in both small and large exhibitions around the world. In the lead up to Ray’s centenary on June 29th 2020, we will be co-ordinating exhibits around the world, alongside unique presentations and events, under the banner #Harryhausen100. For news and updates, please see our Harryhausen100 tab. In accordance with Ray’s wishes, the Foundation will be establishing a stop-motion animation scholarship in both the UK, hopefully at the National Film & Television School, and simultaneously in the States, possibly at Ray’s old night school college, the University of Southern California. These are the main areas of need for sponsorship but there are always aspects that cannot be anticipated. 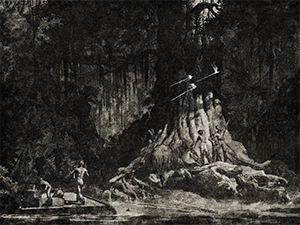 One of the Foundation’s primary objectives is to promote knowledge and understanding of Ray’s body of work, alongside the techniques and artistry involved in the field of cinematic special effects. For educational purposes, we wish to encourage the study, practice and knowledge of stop-motion animation amongst future generations of film makers, as well as the wider public. Any help and assistance in any of the above areas would be gratefully appreciated.